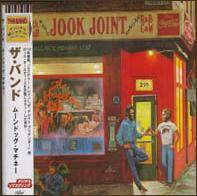 The Band essentially went back to being the Hawks of the late 1950s and early '60s on this album of cover tunes. They demonstrated considerable expertise on their versions of rock & roll and R&B standards like Clarence "Frogman" Henry's "Ain't Got No Home," Chuck Berry's "The Promised Land," and Fats Domino's "I'm Ready," but of course that didn't do much to satisfy the audience they had established with their original material and that, two years after the disappointing Cahoots, was waiting for something in the same league with their first three albums. 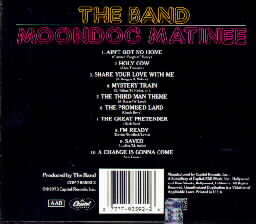 For a wealth of information about this album, see Peter Viney's notes on Moondog Matinee. A limited edition Japanese CD, with very nice artwork and covers, but horrible lyrics transcriptions, came in 1998. 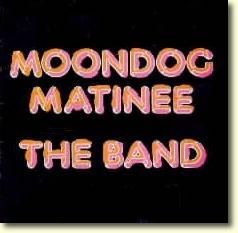 The 2001 remastered re-issue of Moondog Matinee from Capitol Records, mixed from the original, first-generation master tapes, has six new bonus tracks from the original sessions: ``Oh, Didn't It Rain,'' ``Crying Heart Blues,'' ``Shakin','' ``What Am I Living For,'' ``Going Back To Memphis'' and the studio version of ``Endless Highway.'' 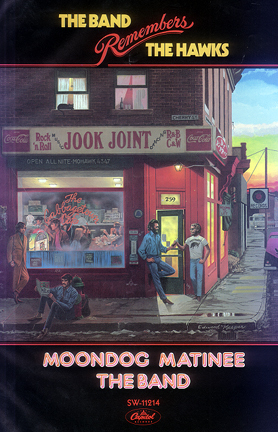 The release feature an expanded booklet with rare photos and liner notes by Grammy award-winner Rob Bowman. This is actually a song written by Sam Cooke called "It's Got the Whole World Shakin'." It was posthumously released as a single by Sam in March 1965 and got to No. 41 on Billboard Magazine's singles chart. It was recorded on Nov. 16, 1964 (less than a month before Sam was killed) and is included on "Keep Movin' On," an anthology of Sam Cooke's music that came out in January 2002 on the Abkco label in the United States.